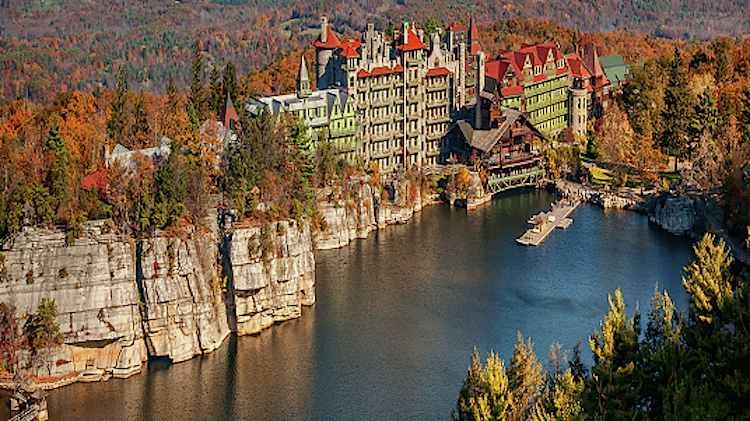 Mohonk Preserve: Situated in the spectacular Shawangunk Mountains, the largest private nature preserve offers plenty of opportunities for climbing, hiking, and biking in its 8,000 acres of forests, fields, cliffs, ponds, and streams. 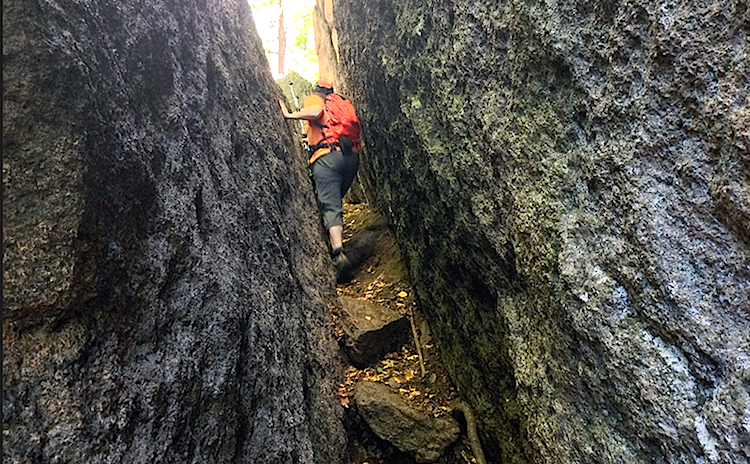 Lemon Squeeze: This unusual rock formation is not for the claustrophobic! 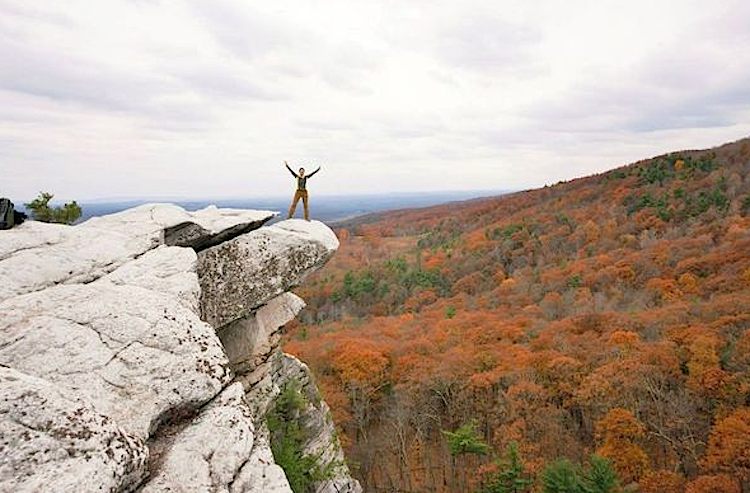 Climb up, over, under and in between rocks in the incredible rock labyrinth to end up on a ledge overlooking the Mohonk Preserve. Climb the Sky Top Tower for a 360-degree view. 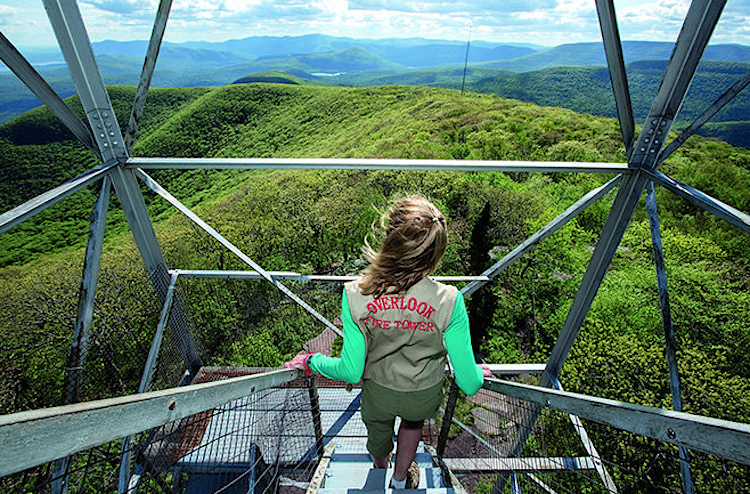 Overlook Mountain: The southernmost peak of the Catskill Escarpment offers a somewhat strenuous hike that is rewarded with jaw-dropping views from the top, especially if you climb the fire tower when you get there! 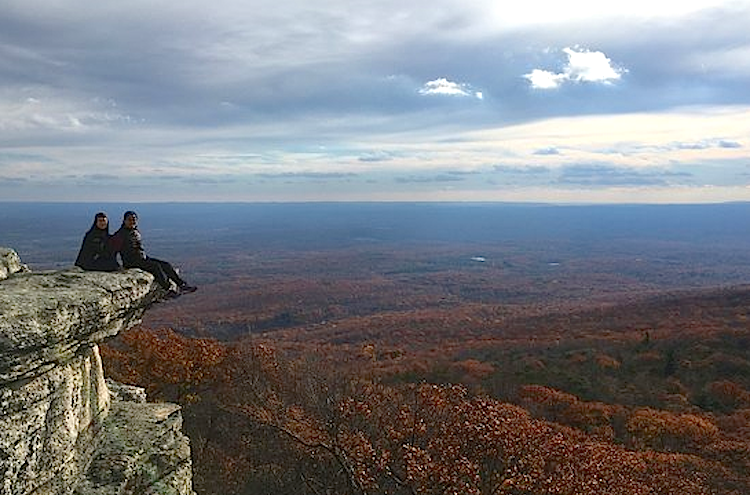 Sam's Point Dwarf Pine Ridge Preserve: The highest point of the Shawangunk Ridge boasts rocky viewing platforms for leaf-peeping, ice cave crevices for exploring and Verkeerderkill Falls, a magnificent 187-foot-high waterfall. 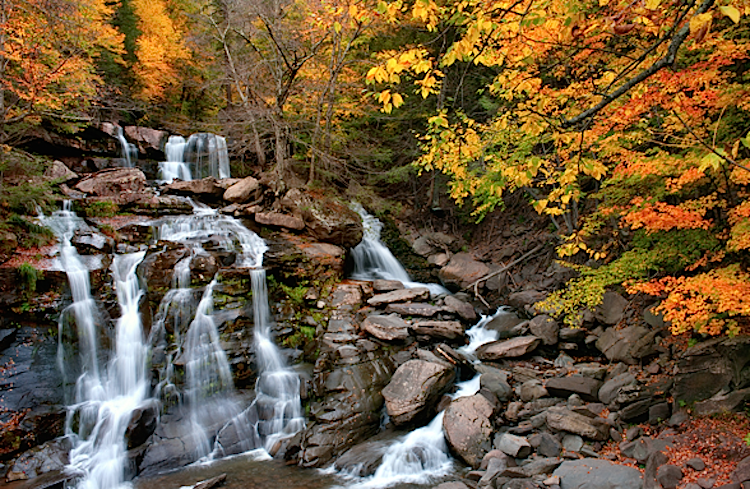 Kaaterskill Falls: Take a short but steep and rocky hike through the Eastern Catskill Mountains to see the breathtaking 260-foot, two-tiered waterfall. Photo by Donald Reese. Head upstate New York. 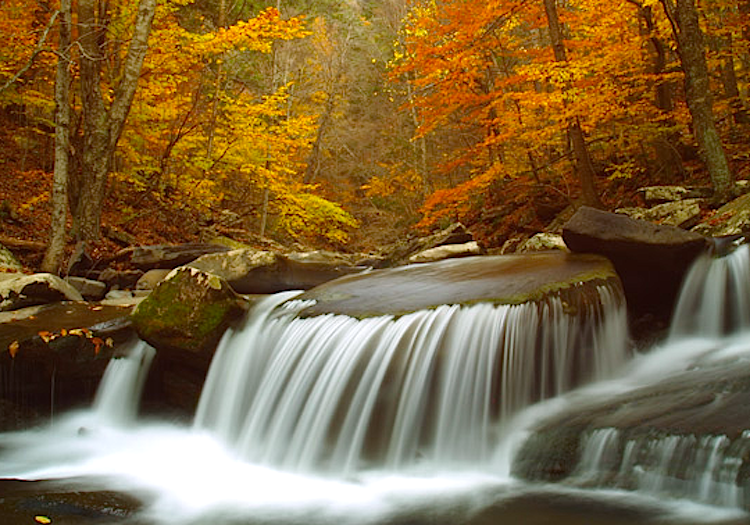 Now is the time for a good hike, fresh air, and fabulous colors!